The first time I was introduced to the concept of setting an intention was at a yoga class – I had to set an intention, a purpose if you will, for the yoga session that I could return to in my mind during the session. 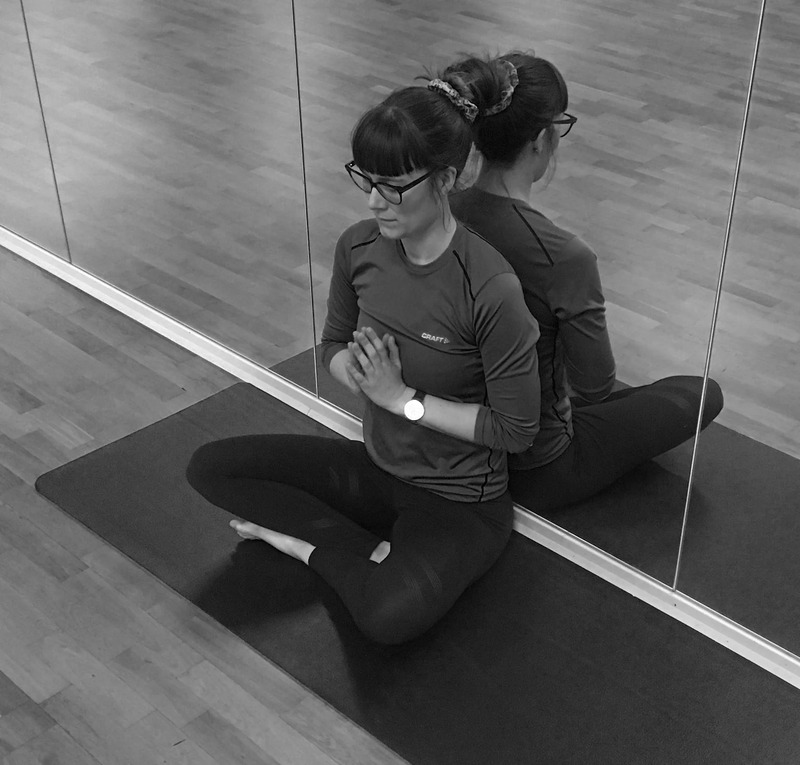 I intended to remind myself to listen to my body’s needs through yoga, and the instructor reminded me to recall the intention throughout the session – This helped me be more mindful within my practice. - To listen to your body's needs. - To remind yourself to stay mentally present on the yogamat. - To be grateful for what is, and what you have. I personally find combining intentions and yoga incredibly helpful, as it helps me find peace and focus. Having both that inner calm and clarity of the mind helps me respectively discover an intention, and embrace it during the course of the day.In my experience, the intentions I set for the day helps me be more content with the day itself, and improves my overall quality of life.With time, I began reminding myself of the intentions I set during practice throughout the day, so that even when I’m not on the mat, I’ll always have yoga with me. The intention I’ve set for my morning yoga practice also helps me overcome the many checklists I have a tendency to create. For example, when I’m out swimming I might tell myself I’m going to swim for 40 minutes, but if I feel that my body needs a break after half an hour, due to exhaustion and/or overall tiredness, I remind myself to listen to what my body needs. It is in those moments, that I really feel I’ve taken yoga beyond the mat itself. Naturally, the intention does not necessarily have to be strictly connected to yoga if, for example, setting one when you wake up is more suited for you. The crucial point is being aware of the intention you’ve set, and to regularly remind yourself of it during the course of the day. Det var til en yoga time, hvor jeg første gang blev introduceret til at sætte en intention. Jeg skulle sætte en intention for min yogapraksis, som jeg kunne vende tilbage til gennem yogaen. Jeg mindede mig selv om at lytte efter, hvad min krop havde brug for gennem yogaen, og yogalæren mindede mig om at vende tilbage til intentionen gennem yogatimen. - Det hjalp mig til at blive mere mindful i min yogapraksis. - Lytte efter hvad kroppen har brug for. Minde mig selv om, at være mentalt tilstede på yogamåtten. Være taknemmlig for det der er. Det fungerer ekstra godt for mig at kombinere yogaen med intentionen Da yogaen hjælper mig til at finde ro og fokus. Roen hjælper mig til nemt at finde en intention, og fokusset hjælper mig til at holde fast i intentionen i løbet af dagen. Jeg oplever at intentionerne, jeg sætter for dagen skaber en større tilfredshed med dagen, og derved hjælper til en bedre livskvalitet. Intentionen som jeg har sat til min morgenyoga hjælper mig også til at se væk fra de mange facitlister, som jeg kan have tendens til at sætte op for mig selv. Når jeg for eksempel svømmetræner, og jeg har sat mig for at jeg skulle svømme 40 minutter, men mærker efter 30 minutter at min krop har brug for en pause, pga. eksempelvis træthed og udmattelse, minder jeg mig om at lytte efter hvad min krop har brug for. Det er på sådanne tidspunkter jeg virkelig mærker at jeg har taget yogaen med mig fra måtten.